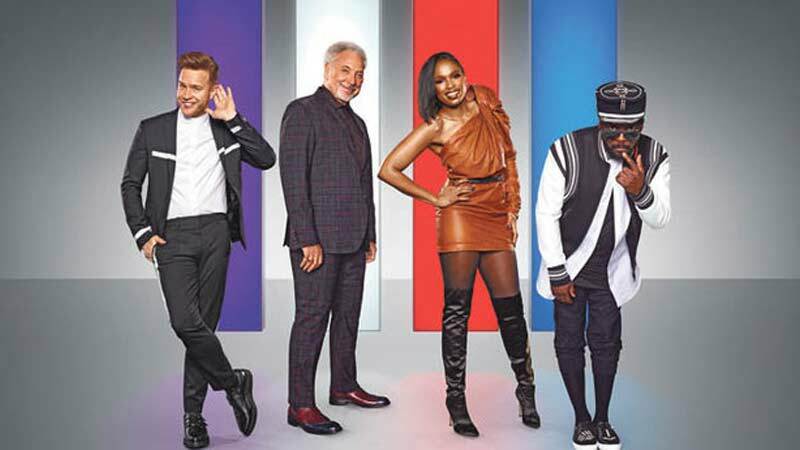 The Voice UK's stellar panel of coaches – Jennifer Hudson, Olly Murs, Sir Tom Jones and will.i.am -are all confirmed to return to their iconic red chairs for the new series. They will be seeking the very best solo singers, duos and, in a competition first this year, trios. The four music superstars will commence filming the Blind Auditions next month at dock10 with the series launching on ITV early next year. Grammy, Oscar and BAFTA winning singer and actress, Jennifer Hudson was recently cast in the film adaptation of Andrew Lloyd Webber's smash musical Cats and is set to star as the young Aretha Franklin in the upcoming biopic about the Queen of Soul. Continuing as a coach on The Voice on both sides of the Atlantic, Jennifer also recently performed the title anthem 'I'll Fight' by Diane Warren on documentary feature, RBG. Returning to the UK, Jennifer said: "I'm so happy to be re-joining my coaches at The Voice UK. I'm ready and excited to discover some beautiful voices." With five multi-platinum albums and countless sold out arena tours, Olly Murs made his debut as a coach earlier this year. Since then, he has been putting the finishing touches to his hotly anticipated sixth studio album. His new music set to be released later this year, Olly said: "Now I've got one season under my belt, I can't wait to see what my second season has in store for me. Last year I managed to get seduced and picked some entertaining performers. The other coaches might think they have worked me out but I'm coming back with a bang, just you wait!" The legendary Sir Tom Jones, with a phenomenal 6 decades in showbusiness, will be back following a tour of the UK and Europe this summer. Sir Tom said: "I'm raring to go on the search for some talented new singers. Bringing in the trio element will present a new sound that could shake everything up. We'll have to see of course, but whether it's a solo singer, a duo or a trio, I'm hoping to find someone with that special spark. I'm so proud and excited about my winner, Ruti, who is in the studio doing some very impressive work, she's developing into a true artist and I can't wait for you all to hear her!" Entertainer, innovator and seven-time Grammy award winner, will.i.am returns as Black Eyed Peas celebrate 20 years together and are prepping to perform across Europe with their Masters of The Sun Tour this autumn. will said: "The UK always surprises me with some of the freshest artists and this keeps me coming back for more. By adding trios, we’re raising the bar, so bring it on UK!" Alongside the powerhouse coaching panel, Emma Willis is also back to present, she said: "I'm so happy we're about to get going all over again. I've learnt to expect the unexpected with performances, some make me wanna bust a move, some give me goosebumps, and some make me cry like a baby! No day is the same, I'm forever wondering 'where have YOU been?'' and with trios signing up this year, it gives us an added layer." The winner will be set on the road to realising their artistic ambitions with the ultimate prize of a recording contract with music giants Polydor Records. The Voice UK is an ITV Studios production of a Talpa format and the new series will air on ITV early next year.